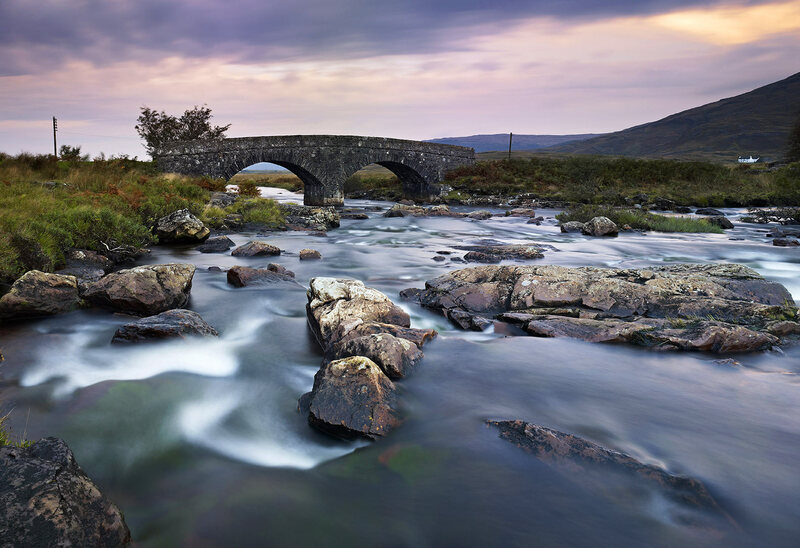 Old bridge over Coladoir River, Isle of Mull. To the right the Ardvergnish House nestles at the foot of the lower slopes of Ben More. The river Coladoir forms rapids before emptying into to Loch Scridain.